Mondays are the Rodney Dangerfield of the week. They get no respect. Me? I love Mondays. Mondays are a beginning. Mondays are magical. Mondays rock. Monday mornings I get to teach Nia, consciously starting my day AND my week with joyful movement. How are you starting your week? Do you find Mondays to be magical? The Sacral Chakra is the 2nd of 7 major chakras. Chakras are energy centers, each having a unique language, color, tone, and essence. An imbalance of any chakra can result in physical, emotional, mental or spiritual concerns. Balancing the chakras through movement is the best way I’ve found to increase the beautiful vibration found in each of these energy centers. Although the Sacral Chakra is known for it’s sexual energy, it is important to note that creative energy emanates from this chakra as well. 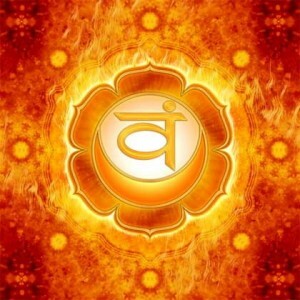 An imbalance in the sacral chakra can result in a creative block, sexual deviancy, abuse or frigidness. Have I mentioned recently that I teach the best cardio dance fitness fusion/lifestyle practice on the face of the planet? Check it out here: http://www.nianow.com). Nia has 52 Moves, 7 of which are related to the Pelvis, Chest and Head (in Nia we call these “the Core”). The pelvis — home of the Sacral Chakra — has 2 moves: Pelvic Circles and Hip Bumps. I have found in my 12 years of teaching Nia, that most (not all) women have a disconnect with their pelvis and/or hips. Creative and sexual energy in the Sacral Chakra goes far beyond the desire and outworking involved in bringing forth a human life. The exhilaration felt in moving the pelvis and hips the Nia way provides a doorway to loving our bodies and loving our lives. Flexibility, mobility and stability are experienced in the pelvis and hips in a safe way when we do Pelvic Circles and Hip Bumps and we are once again connected to the source of creative energy. Creative energy can be in the form of singing, dancing, painting, sculpting, writing, playing…creative energy is…well…creative energy!! I have no children…mine and my husband’s conscious choice…yet he and I have created and brought forth such beauty in our 2 and 1/2 acres of gardens and strolling paths, a vineyard, a pond and many sitting areas enjoyed by our friends, customers and neighbors. We find ways of creating the environment or atmosphere for others to step into their creative greatness. 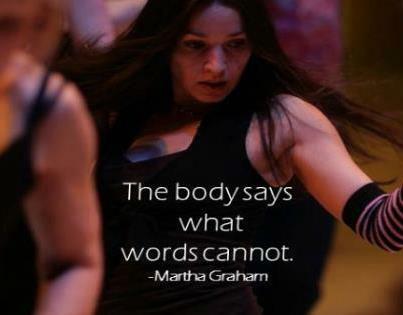 And we do it with a passion that emanates from the creative energy of the sacral chakra. Take a moment to rub your palms together briskly, creating some heat. Next, lay the palms of your hands on your abdominal area (you can do this standing, sitting or lying down). The abdominal area is just below your navel. Allow the heat (which YOU created) in your palms to soak into your sacral chakra. Offer gratitude for sensing the balance in the creative and sexual energy in your Sacral Chakra. Want to learn more about Pelvic Circles and Hip Bumps? Come to one of my classes! I teach 4 classes a week at my studio. You can also find a studio near you by using the website URL above and clicking on “Find Nia” and then “Classes”. Dance like nobody’s watching…dance like everybody’s watching!!! Just DANCE! !